The American retail tradition that’s taken up residence on the British shores in recent years, we’re once again getting involved ourselves this year. 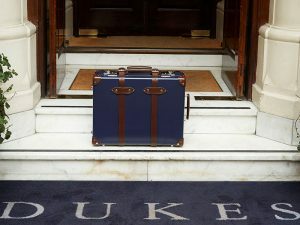 Simply put, if you book ANY type of accommodation at DUKES London today, staying between 23/11/2018 and 31/03/2019 (excluding New Year’s Eve), you’ll receive 40% off your booking. Importantly, the offer is subject to availability, but whether you’re deciding to stay for a single night or a whole month, book today and you can almost halve the cost of your entire stay. An exclusive offer, booking direct with us always ensures you get the best price, but for today only, doing so means you can also take an extra 40% off the cost of your accommodation. PS – in addition to this exclusive accommodation offer, if you are looking for a Christmas gift for your family and friends, DUKES LONDON is also offering 30% off on Gift Vouchers for GBR, Afternoon tea and Picnics bought through the website! Get yours now.